As the statue of NBA legend Dominique Wilkins stands tall in the main entrance of the Philips Arena, the Hall of Famer continues to stand tall and leap high with his calling to educate the masses that are affected with the disease we recognize as diabetes. 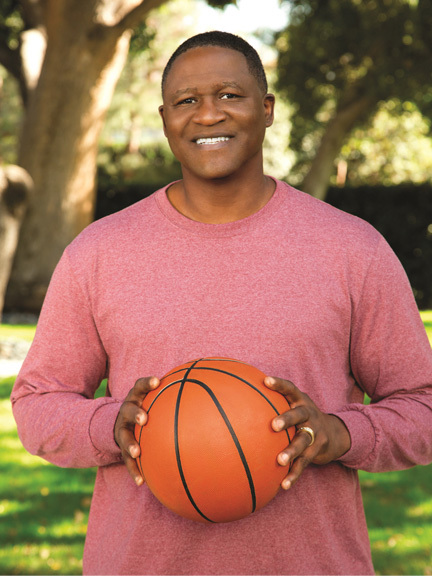 Shortly after his astonishing NBA career, Wilkins was diagnosed with type 2 diabetes and since then has been raising awareness in various communities. He has teamed up with the world’s leading diabetes care company, Novo Nordisk, to educate those living with diabetes about the importance of diabetes management and creating a Diabetes Dream Team. Within his countless community efforts, Wilkins also works closely with the Center for Health Transformation, JDRF, and his foundation, The Dominique Wilkins Foundation, where he is active with local and national charity endeavors when it comes to health. Over the course of Wilkins’ basketball career, he earned infinite awards, achievements, honors and recognitions. Still vital in the NBA, he is a color analyst for the Atlanta Hawks games and acts as the Hawks Vice President of Basketball, where he advises various areas of management within the franchise. Dominique: I had to make a lifestyle change When I was playing I ate anything I wanted, but I was always training so I just burned those calories off and didn’t pay close attention to my diet or how my body felt. When I retired, I wasn’t training anymore, but I was still eating the same foods – so my doctor told me one thing, he said ‘you have to make a lifestyle change right now’! I changed my diet, started exercising and I got on medication. Dominique: I put it this way, I feel better now than I did 17 years ago. Because I made that lifestyle change. One of the things that really helped me is my partnership with Novo Nordisk. It’s been a wonderful relationship. It has given me a platform to talk about diabetes nationally, and to continue talking about my own bout with diabetes. When my pill wasn’t getting me to my goal, I worked with my doctor to find a treatment that was right for me. Now I talk with others about understanding when certain medications are not getting you to your goal, you need to find a treatment plan that works for you. That’s why I am speaking at the American Diabetes Association EXPO so that people can learn about healthy options and diabetes management. One of those healthy options can be found on our website, DiabetesDreamTeam.com, which gives people the opportunity to learn how to build their own “Dream Team” through diet, exercise and education. Dominique: I think the thing that is most important is getting screened, because you have to get screened to see where your health is, to see if you are a person that is prone to diabetes or if you have an elevated sugar level. Screenings tell you if something is wrong and how you can fix it. That’s the thing I stress more than anything. Secondly, when you make a lifestyle change, that doesn’t mean you have to go to the gym and become some muscle man (laugh). Just get yourself physically moving. People do different things as far as physical activity to keep them healthy. You have to find out what’s comfortable for you.